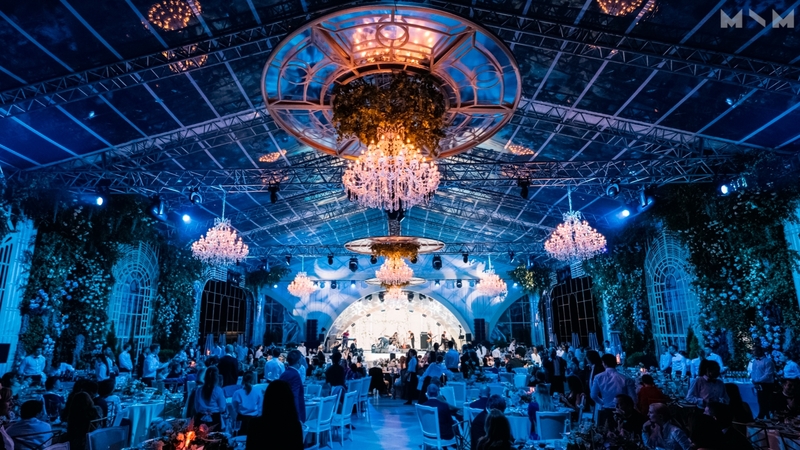 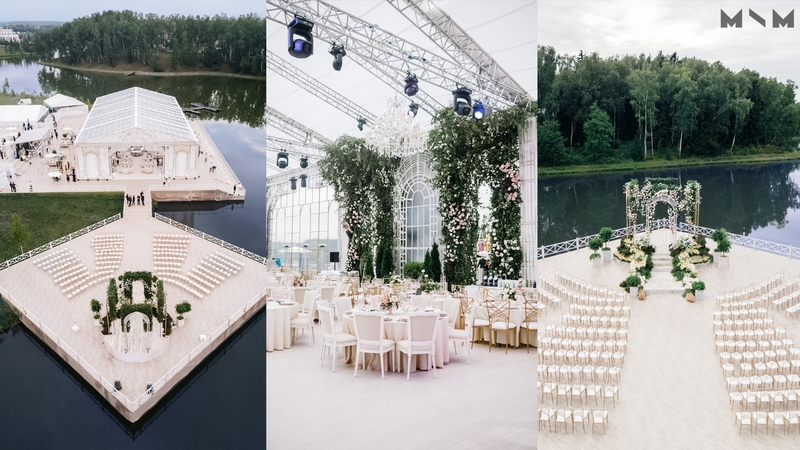 Short preparation time and the difficult landscape of the venue - that was two complex parts of Emin Agalarov & Alena Gavrilova wedding preparation. 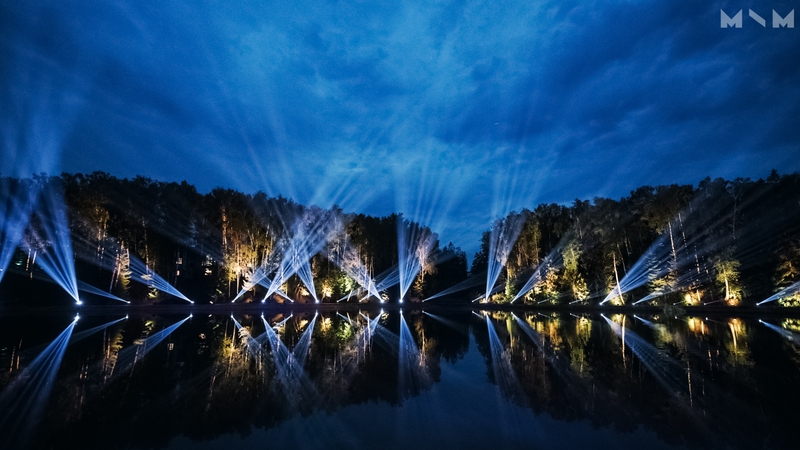 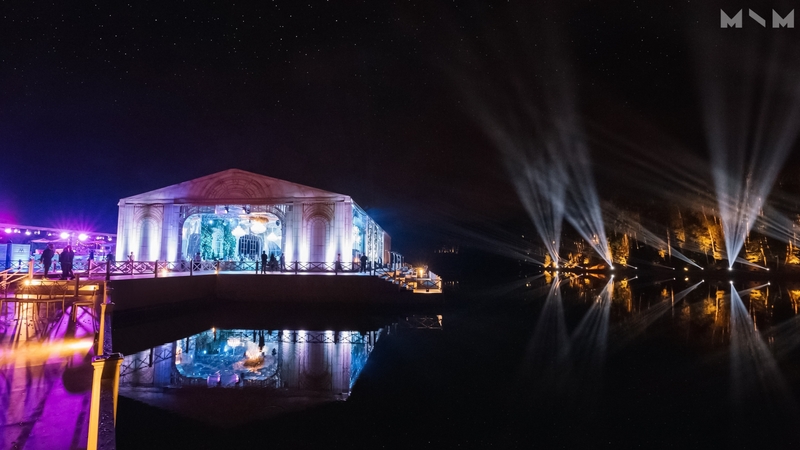 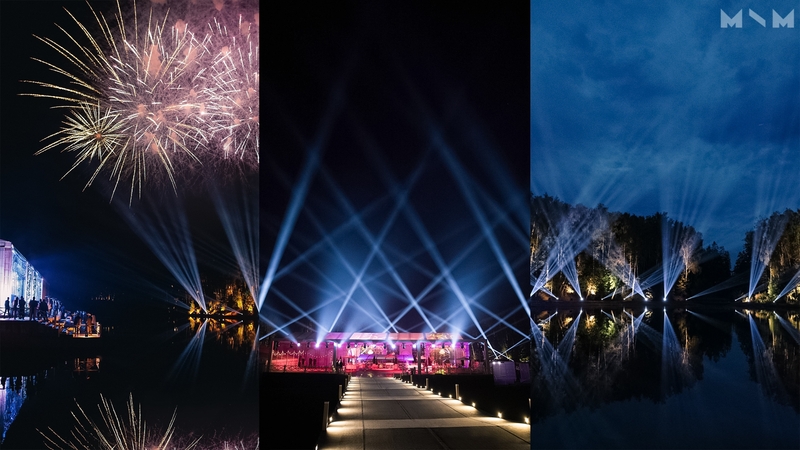 In less than two weeks, the engineering and geodetic part of the set-up was fully developed, the bottom of the lake was explored - cause a third of the structures were built in the water, logistics of the venue were developed, including a 120-meter track for golf carts, a design for the entire event, layouts for the decorative elements and lighting plot were prepared. 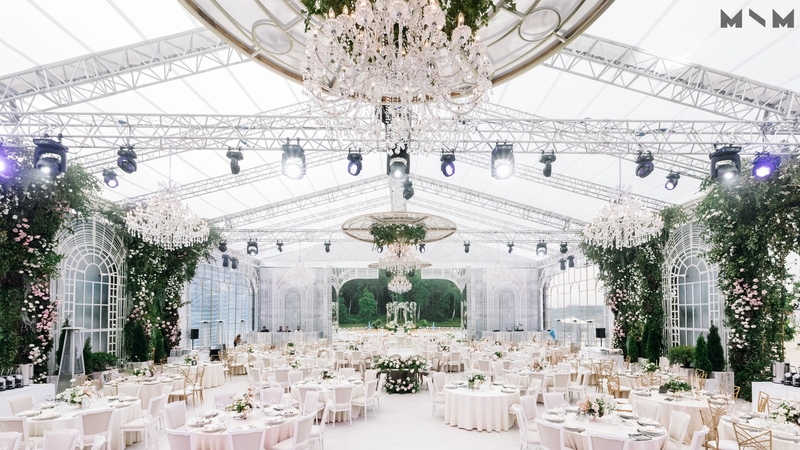 One of the main technological features of the project was the design of the roof truss structure without visible struts and stretch marks, which usually ensure the safety of the structure with strong wind loads. 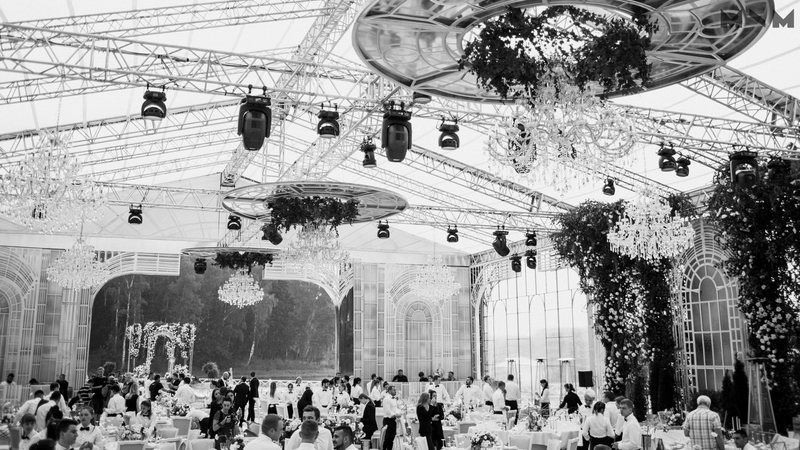 Due to the movement of the supporting elements to the floor of the set-up, it was possible to make the construction "clean" and safe.